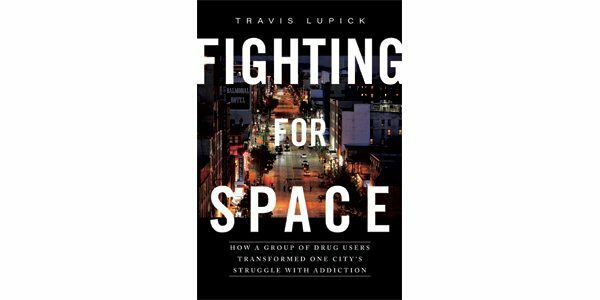 Georgia Straight journalist Travis Lupick has won the George Ryga Award for Social Awareness in Literature for his book Fighting for Space: How a Group of Drug Users Transformed One City’s Struggle with Addiction, published by Arsenal Pulp Press. Lupick released a statement expressing his hope that the award will encourage further discussion of Canada’s overdose epidemic. “I worry that public attention is beginning to wane, or that a feeling of hopelessness is leading people to block the crisis from their minds. But the number of death remains higher than ever. In 1998, the worst year of the overdose crisis that’s recounted in Fighting for Space, there were 400 drug- overdose deaths across B.C. It was a number so high that in response, Vancouver revolutionized how it responds to addiction. In 2017, there were 1,436 fatal overdoses across B.C. Something needs to change, and radically so. The George Ryga Award will be presented at a ceremony at the Vancouver Public Library on June 28.